As the largest model in the Reference Series, the R263 sets the bar for superior sound. The heart of this floorstanding speaker is the 1" (25mm) CMMDTM high-frequency driver mated to our advanced waveguide. This combination provides seamless integration with the midrange and smooth coverage across a wide listening area. 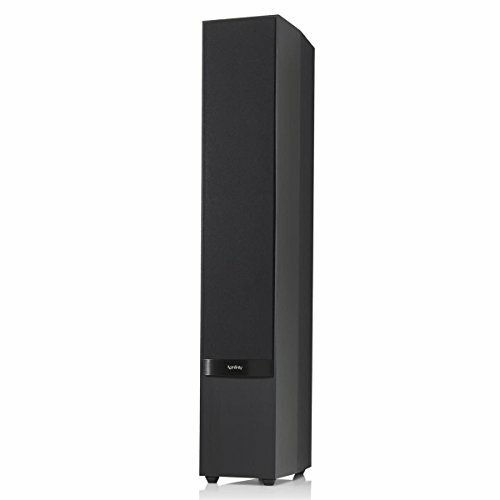 A 5.25" (130mm) flat-piston CMMDTM midrange with a dedicated sub-enclosure provides superior vocal and dialogue intelligibility. Dual 6.5" (165mm) CMMDTM woofers work in conjunction with the tuned-port enclosure to provide powerful, deep bass response that will make your music and movies come alive. The R263's slender design and elegant details provide a rich appearance that blends well with any décor. Single Speaker - Sold Individually - Purchase Two for a Pair. Get ready for a sonic revolution. With the 2014 Reference Series, we've drawn upon our legendary past and combined science with art to create speakers that break new barriers. The 1-Inch (25mm) CMMDTM (Ceramic Metal Matrix Diaphragm) tweeter and advanced waveguide provides seamless sonic integration with the CMMDTM midrange. 5.25-Inch (130mm) CMMDTM flat-piston midrange with dedicated sub-enclosure design reduces critical high- and mid-frequency diffraction found in traditional cone-type midrange drivers.